Today may be the first of August, but it's also what many animal lovers around the country call "DOGust 1st," an event North Shore Animal League America says is "the universal birthday for all shelter and rescue dogs since most often their actual dates of birth are unknown." But before you check out the puppies Animal League America and other shelters have up for adoption on this adorable holiday, read this list of helpful tips and things to consider when thinking about adding a pet into your family. DOGust 1st is about more than just celebrating a potential furry best bud. It's about adoption awareness, making sure you know which type of dog is right for you or your family and whether you should adopt now or maybe wait until you're sure you're ready. "GMA" is celebrating the big day, so we spoke to Animal League America spokeswoman Kathleen Lynn to compile five crucial things to know and questions to answer before even meeting the pups. Because once you look into those little, sweet eyes, there's no turning back. We weren't joking when we said once you look at that furry face and fall in love, that's it. Talk to the staff at any shelter and let them get to know you before you check out puppies and older dogs they have up for adoption. For example, Animal League America has adoption counselors who can help you make the right choice for you and your family. Maybe a puppy isn't the best for you if you work a lot. Lynn said she and her colleagues purposely put older dogs up front before people get to the puppies in the back to make sure the senior dogs aren't ignored. Everyone loves a puppy, but if you travel and work long hours, a house-broken dog may be a better fit. 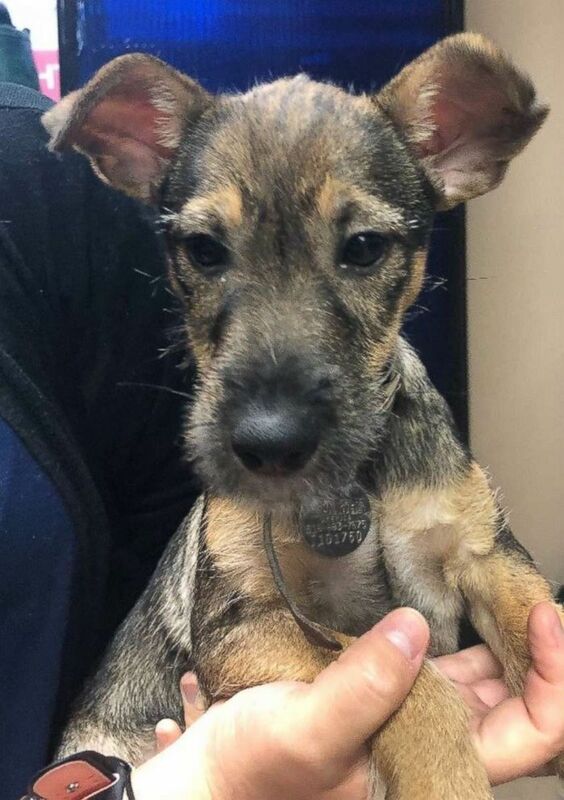 Maxx, a Labrador-terrier mix rescued from Tennessee, pictured in an undated handout image, is available for adoption from the North Shore Animal League. Also, if you're a couch potato who just wants a snuggle buddy, a Lab or Husky isn't for you. Consider an English Bulldog first. Do you have a home with a yard or an apartment? Also, does your landlord approve of having dogs in your place? Don't try to pull a fast one and sneak a pup into your apartment. Animal League America staffers call all landlords first to make sure dogs are OK.
"We do check references," Lynn said. 4. Do you already have a pet? The old adage of "fighting like cats and dogs" is mostly a myth, but whether it's a cat, dog or hamster, you need to make sure your current pet will get along with your new pet. "Bring them here, and we can have meet and greet," Lynn said. "Get an honest assessment. We have experts here on pet behavior. ... We have every resource you're going to need." Does your job offer pet insurance? Do you want a purebred or mixed? 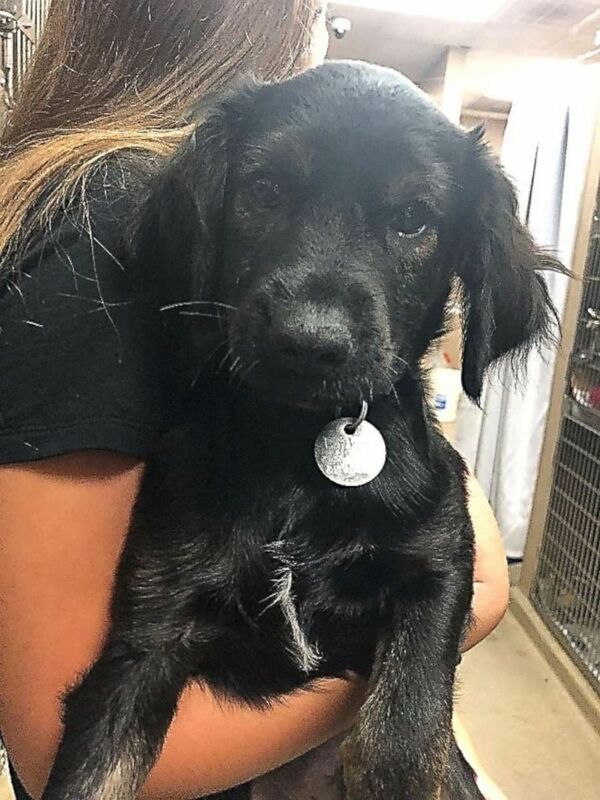 Barnaby, a Schnauzer-Shepherd mix rescued from Tennessee, pictured in an undated handout image, is available for adoption from the North Shore Animal League. Depending on your answer to these important questions, do your research and learn about the breed that's best for you. Lynn said that while purebreds are great, they may have more health issues than mixed dogs, so be ready to care for your little bud if he or she gets sick. Every dog is different, of course, but it's good to know the history of the breed you're considering. "At the end of the day, we just want the adoption to work," Lynn said. "We want the animal to be happy, we want the people to be happy." In addition to the festivities this morning on "GMA," North Shore Animal League America will be celebrating DOGust 1st from 11 a.m. to 3 p.m. at Petland Discounts off of West 23rd Street in New York City later today. Adoption fees for the first 20 for approved dog adopters will be waived.